Organisations, companies and venues across the capital go #OneLess with ZSL’s help. Dramatically reducing the amount of plastic entering the ocean via the Thames is one step closer, after organisations across London helped to launch the #OneLess Pioneer Network – a revolutionary movement aiming to eradicate single-use plastic bottles across the capital, by collaborating with local stakeholders to initiate innovative new solutions. The launch event, hosted by international conservation charity and #OneLess founding partner ZSL (Zoological Society of London) at ZSL London Zoo saw a range of local businesses, venues, organisations and visitor attractions from across the capital come together to share their vision for a ‘refill revolution’. Attendees were encouraged to sign up to the #OneLess Pioneer Network, pledging to work alongside existing partners including Selfridges, the Natural History Museum and Borough Market, to champion and promote the #OneLess message across London. The evening attracted more than 40 different stakeholders from across London, from the likes of 15Hatfields, Refill London and Ooho!, to Shaftesbury and the Greater London Authority. With the iconic backdrop of ZSL London Zoo, which has already eradicated all single-use plastic bottles, the evening was intended to inspire a whole host of new partners for the #OneLess Pioneer Network. 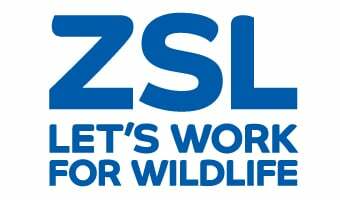 Launched at ZSL London Zoo on World Oceans Day (8 June) 2016, the #OneLess campaign is led by ZSL, in partnership with Forum for the Future, The International Programme on the State of the Ocean, and the Thames Estuary Partnership. It is a movement of pioneering individuals, communities, businesses, NGOs and policymakers, all working collaboratively to reduce the number of single-use plastic water bottles entering the ocean. It’s not too late to make the pledge, and any other organisations that would like to get involved in reducing plastic waste can contact the #OneLess team at ZSL via oneless@zsl.org to join the movement.